assets and divorce Archives - Amaral & Associates, P.C. Can I Modify My Separation Agreement? By of Amaral & Associates, P.C. on Tuesday, June 27, 2017. 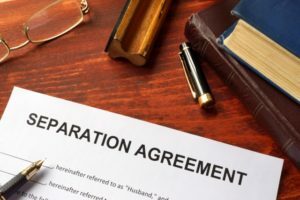 It is not uncommon for a spouse to want to modify certain provisions of his or her Separation Agreement after a divorce. As time goes on, circumstances will most certainly change for the former spouses. However it is important that spouses make any changes through the Probate and Family Court, and not through a private agreement, as private agreements are not enforceable through the courts. By of Amaral & Associates, P.C. on Tuesday, December 6, 2016. A: A Prenuptial Agreement is a contract between an engaged couple who is planning to marry, in which the contract, divides all (or some) of each individual’s property in the event of divorce and/or death. 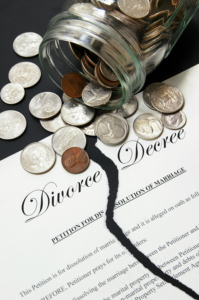 It can also determine whether any alimony will be paid in the event of a separation or divorce. Q: Who needs a Prenuptial Agreement? A: Anyone who is getting married and you have any assets that he/she wants to protect, even if it is just one asset, needs a Prenuptial Agreement. 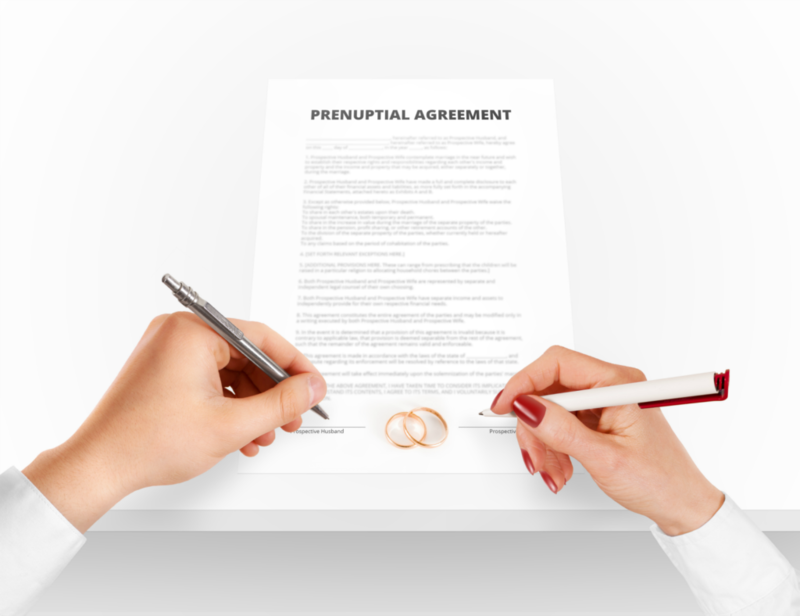 Q: What are some common terms included in a Prenuptial Agreement? By of Amaral & Associates, P.C. on Tuesday, August 11, 2015. The stresses placed on divorcing couples, who are making decisions about custody, spousal support, equitable distribution and parenting plans are not unlike those of air-traffic controllers, who are trying to safely land multiple jumbo jets coming in on multiple runways. Perhaps these aren’t life or death decisions, but that depends entirely on your perspective! I can’t take credit for this brilliant and so-directly-on-point analogy, but am borrowing it for the sake of this conversation. I hope it’s useful to anyone going through the divorce process today, or for those stuck in the seemingly never-ending post-divorce arguments that annoy, irritate and frustrate us. By of Amaral & Associates, P.C. on Thursday, August 6, 2015. By of Amaral & Associates, P.C. on Tuesday, June 16, 2015. All divorces can be stressful and important to spouses facing a divorce. However, handling divorces with a high asset value has some additional inherent complexities that not all spouses, or even all attorneys, are aware of. 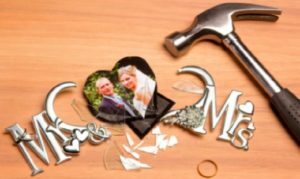 When addressing high asset divorces, there are complicated issues that have to be addressed within alimony, property division, taxes, life insurance, and even child support. In handling such divorces, it often requires the attorney to review a large volume of documentation, particularly financial documents. Because these documents can be highly technical, a knowledgeable divorce attorney typically takes a “team” approach to such divorces, and includes financial professionals in the management of such a divorce. 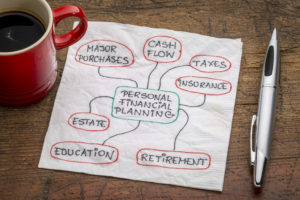 These financial professionals can include a business appraiser, tax professional or accountant, financial planner, forensic economist, and/or certified divorce financial analyst (also known as a CDFA). It is important that your attorney already have a team in place that they have been working with for years. By of Amaral & Associates, P.C. on Monday, March 2, 2015. Divorce is almost always an emotionally taxing experience. Divorces that involve millions (or billions) of dollars have an added level of intensity and drama. 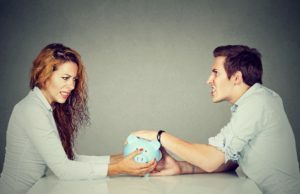 It’s not uncommon for the parties in a divorce to act in irrational ways that may be counter to their own best interests or to make simple financial errors that can cost them dearly in the calculation of a settlement. One way to minimize these types of mistakes is to involve a valuation expert, an objective professional hired to determine accurate assessments of a couple’s holdings based on conventionally accepted metrics and methodologies. Valuation experts are most commonly, but not always, affiliated with accounting firms and carry special designations. While these credentialed experts are a good choice for valuing a lawyer’s partnership interest, a privately held company or a divorcing client’s stake in her family business, more specialized knowledge may be required to properly handle investment-related interests.